Jesus is God. Those 3 little words - 10 letters - can stir the deepest emotions either of love or hatred. Some men curse those words, others have died for them. Who is this Jesus? How will you respond to His claim to be God and to be in charge of your life? Jesus lived and walked on this earth about 2,000 years ago. He grew up in a small town and learned the trade of a carpenter. There was nothing unusual in the way He looked or acted. Then, when He was about 30 years of age, He announced that He was God. In 3 1/2 years He forever changed the course of world history. Jesus declared with confidence that He was God. How did He know? Did He just wake up one day and say, "I am God" or was He born with a complete knowledge of Who He was? His own brothers did not see anything out of the ordinary about Him [John 7:5]. The people of His community did not see anything special about Him and were greatly offended at His claim to be God [Luke 4:20-30]. How did He know? As we will look at in other articles [as well as in Rock Solid and The Glory Of Christ], to be our Saviour Jesus had to be a real Man. That means that He could not have any advantage of a memory of being God. So, if Jesus is God, how did He know? Somewhere in His youth, the Bible doesn't say when, Mary and/or Joseph would have explained to Him the details of His birth. They would have told Him about the words of the angel, the virgin birth, the testimony of the shepherds and wise men. That would have gotten Him thinking, but after the events of His birth nothing unusual happened. He lived an ordinary life. As every Jewish boy did, Jesus would have studied the Old Testament especially The Law [first 5 books]. When He was reading and studying the prophecies of the Messiah, the Holy Spirit would quickened His mind with the thought, "These are talking about Me." Slowly the conviction would grow that He was the Messiah. It was something He had to take by faith. We know it was by faith because only faith can please God [Heb. 11:6] and the Father Himself testified that He was well-pleased with Jesus [Matt. 3:17]. Everything that Jesus did during His ministry He did based on the faith that He was the Son of God. The statements He made, He made in faith. True faith is not flimsy, it is Rock Solid. There was no doubt in His mind. The prophecies of the Messiah in the Old Testament were probably more for Jesus - to build and confirm His faith - than for us. Jesus was convinced beyond a shadow of a doubt that He was God, the promised Messiah. 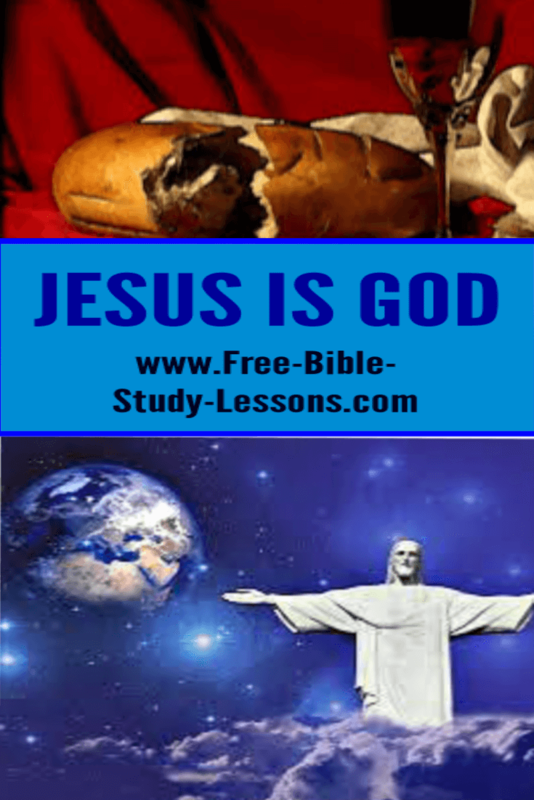 First, we know Jesus is God because He did fulfill the Old Testament prophecies. There are many prophecies of the Messiah, including an exact timeline to when He would begin His ministry. Jesus met every single one of them. There is no way an impostor could have faked or fulfilled every single prophecy. Many of them were outside human control and could only have been directed by God. Second, we know Jesus is Who He said He is because of the miracles He did. Thousands of witnesses saw Him do miracles. Even His enemies did not deny the miracles, although they tried to discredit the source of His power. If there was any trickery the chief priests, Pharisees and others would have exposed Him with great delight. Third, we know Jesus is God because He tells us He is. Jesus is the Truth. Some people try to downplay Jesus by saying He was just a great man - perhaps the greatest Who ever lived. I believe it was C. S. Lewis who exposed that nonsense. Read the things Jesus said. They were either true and He is God or He was a colossal liar. There is no way He was just a good Man - He is either God or He was an evil man. Fourth, we know Jesus is God because of the resurrection. Jesus died and God raised Him from the dead showing that His redemptive work on the cross was successful. Over 500 people personally saw Jesus after the resurrection. We have four different and reliable accounts of it in the Gospels. Fifth, we know Jesus is God because of the testimony of millions of people from that time to today who say they personally know Jesus and He has changed their lives. There is no accounting for the millions of changed lives and the direction of world history other than that Jesus is God.